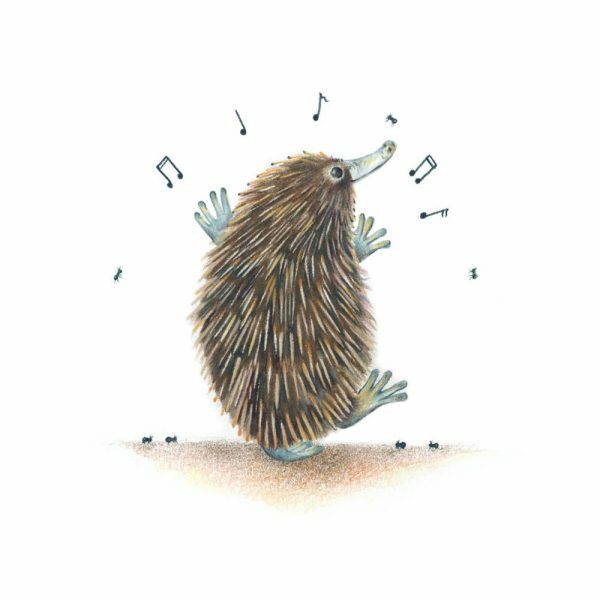 “Echidna Dancing” fine art print. 30x30cm paper size, fits standard frames. Artwork is from published children’s book “Hare ‘n’ There, Author Jenny Morris, Illustrator Sarah Hardy. Each print is hand signed.